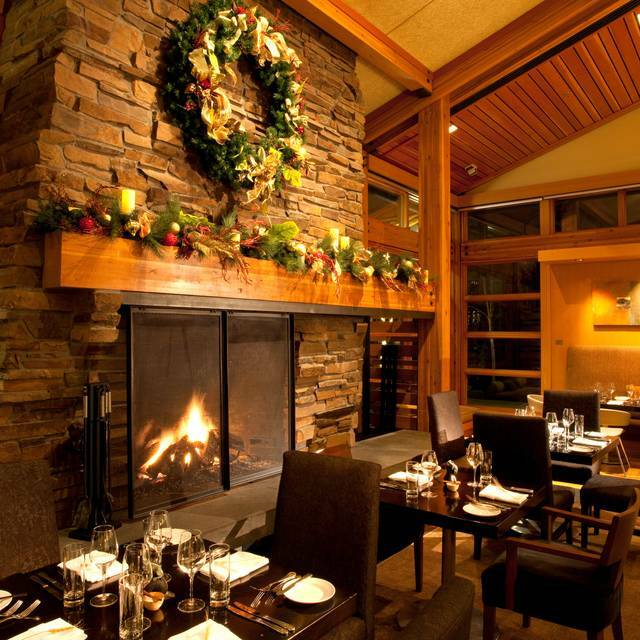 Cedarbrook lodge runs shuttles to & from SeaTac Airport. Call (206) 901-9268 for a pick-up.Seattle's Link light Rail station (Tukwila International Blvd.) within 3 miles. 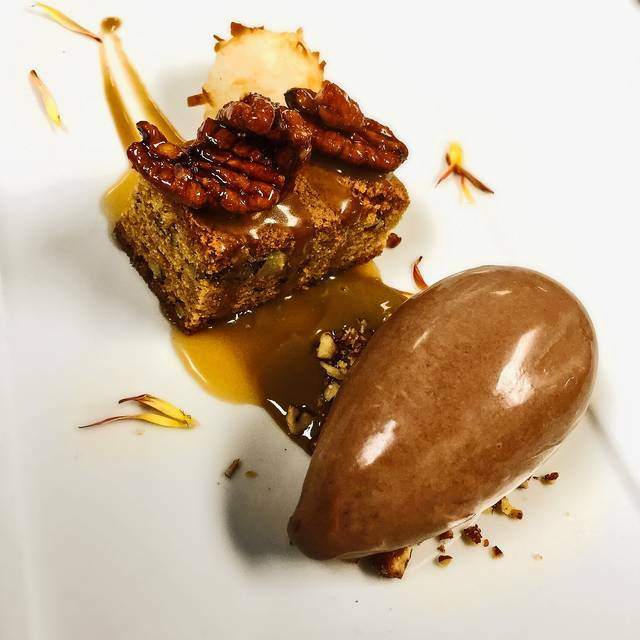 Copperleaf Restaurant & Bar is a Northwest gathering spot serving seasonally-inspired farm-to-table cuisine. The entire team is committed to sustainable practices bringing the season's best to your table. Chef Adam Stevenson hand selects products from small local farms, fishermen, ranchers and artisans as well as products from his on-site chef's garden for many of his evening offerings. Arrive early and experience a seasonal cocktail or glass of Washington State Syrah in Copperleaf Bar where the lounge menu is available daily. 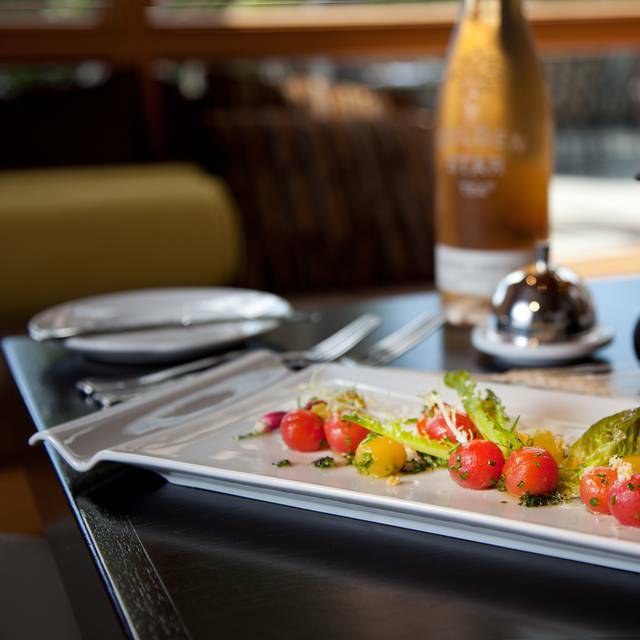 Come see why Copperleaf Restaurant is a truly "Quintessentially Northwest" experience. The tasting menu was an experience! The chef is detailed yet creative which resulted in one of the finest dining experiences of my life. And I am old! My best friend and I do lunch on a regular basis. We look for a nice spot when we have the time with the interesting menu. This was only ten minutes from the office but had a real escape feel. The appetizer was spectacular with a crostini topped by smoked salmon and goat cheese and sprinkled with a fennel salad. The crab salad was perfect. Finally, we split a coconut tapioca for dessert. Really nice dessert menu. Great spot and their is a spa.! Been there many times and thoroughly enjoyed it, but some of the food was unexpectedly disappointing this time. Fish was properly cooked but lacked flavor. The big problem was that the fry oil was stale and needed changing. All the fried items tasted borderline rancid. So disappointing because the presentation was spectacular and the flavor combos were delightful as always. Food was excellent- both delicious and well presented. Service excellent and server very kindly adapted food for my pregnant daughter's needs. Quiet atmosphere which enhanced our family time together. Highly recommend to others! The food was delicious.t husband had the short ribs which were perfectly cooked and served with creamy mashed potatoes and a lovely reduction sauce. The chicken sausage ravioli (had another pasta name) was delicate and yet extraordinarily flavorful. Our server was great and attentive. The food was served promptly. The atmosphere was nice with a fire but there was a family with a very loud child. Because the room is cavernous it was hard to miss. We have dined in plenty of places with loud children before and not had such a hard time ignoring but we realized maybe it was because it was otherwise so quiet that the one loud noise stuck out. Do not let this dissuade you. It was a fantastic meal and I would highly recommend it. Beautifully presented food. Great service. Impressive dining area. But like most hotel restaurants the costs were higher than comparable restaurants not located where expense accounts were not the norm. Wines were marked up unreasonably. With only 1 beer and 1 coffee, the meal before tip was around 150. The tasting meals were around 100 without wine. We took the advice of the server and had octopus as a starter followed by duck and chicken. We liked the various sauces that came with the entry. Good portion sizes. But nothing that made us want to return. Fantastic vegetarian tasting menu with stunning wine flight selection. Don’t bother with any of the other cheaper chain restaurants when staying in the area. This place knows it’s stuff...from the expertly mixed Gauguin muse cocktail ( trust me...this one is the business!) to the amuse bouche and each dish beautifully presented and explained it was a pleasure from start to finish. Our server Tania was so personable and full of fun...we loved the whole experience! I've been coming to the SeaTac area for 11 years and didn't even know that this place even existed. Found it while doing a Yelp search during descent into SEA. The restaurant and adjacent resort are housed in what used to be a retreat for Washington Mutual executives. It's a lovely setting in the middle of a forest. Our server, Piper, was nothing short of amazing. She was attentive, yet unobtrusive. Her knowledge of the menu items, including the wine list was phenomenal. Everything we ordered was delicious. The chicken melted in your mouth. The antelope was tasty. And, while not usually a pinot drinker, the Angela Estate Pinot Noir that she recommended was the right stuff. Not only worth the drive, but worth the flight also. We meet friends here for lunch since it's half way between their home in Seattle, and ours in Gig Harbor. I had the Black and Bleu salad, and it was outstanding. My husband had the crab salad, and it had all sorts of yummy veges in it...hearts of palm, and more. Love the fireplace that's always going, and the really comfortable seating. Excellent service and great food. The only minor issue was that our bill had a small error but we didn’t realize until later. Spectacular!!! You must dine at the Copperleaf Restaurant- and sit in Charlie’s section. You will think you died and went to Canlis. 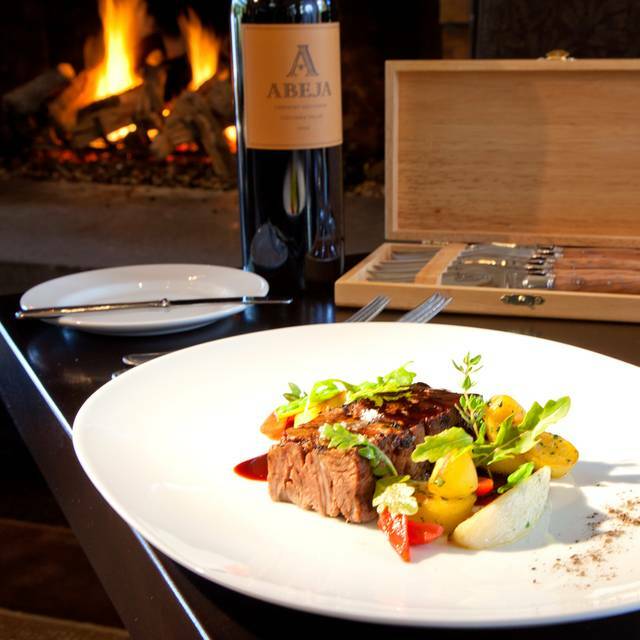 The food and wine, seasonality and local sourcing make this restaurant special - but the service takes it over the top! I have a ton of crazy food allergies and Charlie took great care to make sure that the food I ate was safe for me - and tasty. He checked the ingredients with the chef before I ordered and then looked at each thing that came out of the kitchen to make sure it was right - and sent it back before it even got to me if it wasn’t. The restaurant manager even stopped by to make sure we were okay. It was the least stressful, most delightful meal I’ve had in a long, long time. More like dining with your best foodie friend. 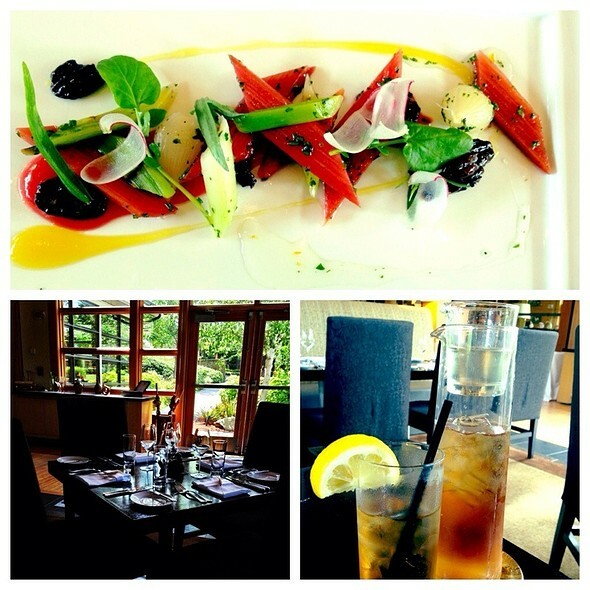 The Copperleaf Restaurant and Cedarbrook Lodge are true gems and you owe it to yourself to check them out!! Our dinner was spectacular and our server was awesome. We will stay at the Cedarbrook Inn next time we are in Seattle. We were disappointed with the service. The hosts were both kind and helpful. However, we opted for bar seating, as a soccer game was on. Once we sat down, the service was slow (it took a while to get menus). Although the waiter checked in quickly after we got menus, he did not return. A new person came and took our order, but did not return until we had finished our wine and meal. Terrific venue in a surprising location tucked away near SeaTac. Genuinely nice people and great food. Service was SLOOOOW! The meal was ok, ambiance was that of a few steps up from a holiday inn breakfast area. Lighting was not that of a fine dining establishment. The service was impeccable, the food top quality and the atmosphere relaxing! We always enjoy ourselves and will be back. I recommend the 5-course meal experience! 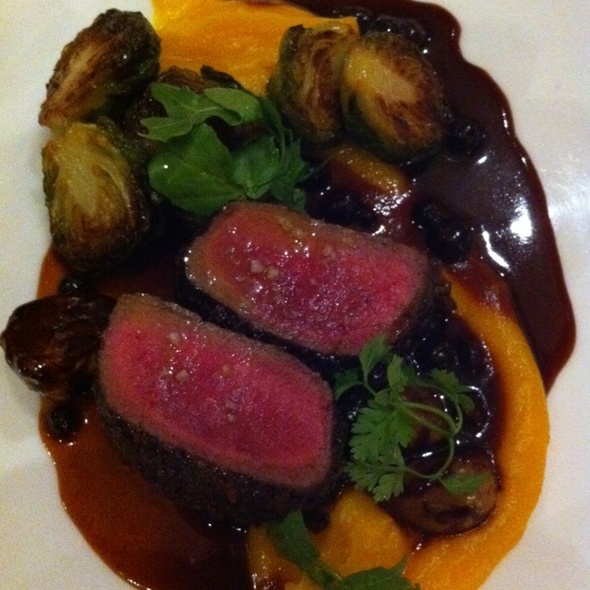 My husband and I had a really lovely dinner at the Copperleaf during our stay at the Cedarbrook Lodge. Everything was perfect - great food, terrific service, lovely ambiance. Such a surprise - tucked away in a quiet location close to the airport. Bottom line: eat here..the food was delicious with attentive service. I highly recommend staying at this hotel and eating at the restaurant. This is our second stay at the Cedarbrook lodge. Both times were a one night stop over between a connecting flight to Europe. The hotel is decorated in a very modern northwest style. It is located very close to the airport, but it is too far to walk. They have their own shuttle. The hotel has a good bar (drinks are not watered down), the restaurant has a good wine list. Our dinner was completely enjoyable all the way through dessert. While not the cheapest place to stay and eat, if you want something above ordinary then stay here! The Cedarbrook Lodge is a hidden gem and wonder place for a quiet get-away or meeting with a group. The grounds are very pretty and have walking paths and beautiful trees and plants. To add to the overall experience, the Copperleaf Restaurant is great. They have a very nice selection of menu options and the service, ambience and food presentation is tops. Our small group has eaten there three years in a row and we all have raved about the preparations and tastes of the dishes we ordered. Highly recommended. Great location for a nice vibe and incredible food with a lot of variety. Really liked that the Chef used a good variety of ingredients to make unique dishes. Overall, one of the best meals I had during my stay in Seattle area. We arrived a half hour before Sunday brunch began. .... on the very attractive back patio. Without having been asked, the waitress brought us each a cup coffee. Which we sipped while waiting for the doors to open. just everything made our visit to Copperleaf an experience we hope to repeat soon and often. Great atmosphere, fantastic server and a wonderful meal made for a very enjoyable evening! The undercooked lamb and ducks were very poor. Waitress was haughty. Such a bad experience never again! Great food an ambiance. Service needs a major overhaul. Thank you for your candid review. I'm glad you enjoyed our space and the food, and I'm very sorry the service experience was a disappointment. If you are willing, I would greatly appreciate the opportunity to hear some details so we may address those issues and improve our operations. I may be reached directly at (206) 214-4112. Absolutely! The food was amazing. Our server Marco was delightful, knowledgeable and very professional! All around a fantastic experience. We will definitely be back. Was not disappointed. Cozy yet modern, this restaurant allowed us an easy yet exciting meal. 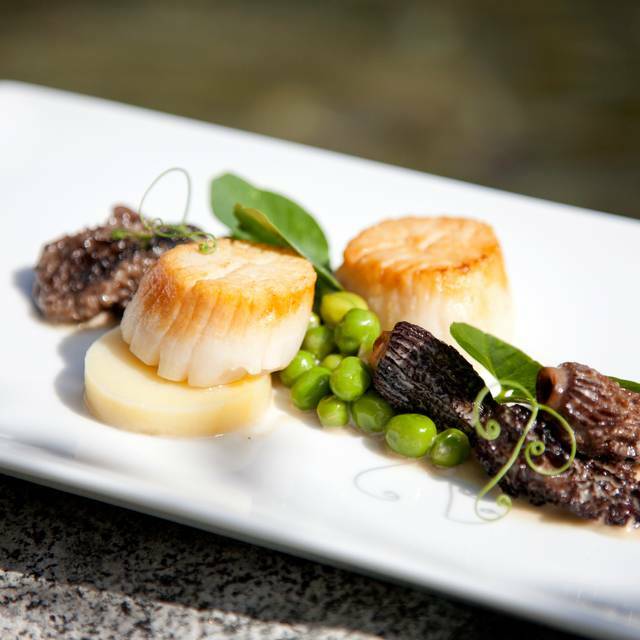 Everything we tried was cooked to perfection and presented beautifully. Now that we know it's here, we're definitely coming back. Also I want to write that the noise level wasn't even noticable. It felt like a lodge, or lounge, not a rock concert. Excellent 5-course dinner that exceeded our expectations. Terrific as always! Love my waitress Pipe! She made this dining experience a fabulous dinner. Thank you! Discovered this restaurant and hotel while doing work in Seattle a few years ago and now almost always stay here before leaving town after visiting family. Restaurant is top notch for food lovers. Excellent wine list. Wines by glass excellent. Ambience good summer and winter. Eating out on patio in summer is very nice. Always hard to believe it’s so close to SeaTac. The food isn't stellar, but service and atmosphere are great. Wish it had been warmer to enjoy the patio for dinner. Piper was a great server and made my birthday dinner very memorable. Great evening! I really love the ambience - cool lodge. Super disappointed in my dish - waiter told me the chicken was to die for but didn't tell me it was a mousse-like texture until came to the table. Dish came with a very dry thigh wrapped in bacon. Other folks in my party had some good parts and some not great parts to their dishes. Im guessing I was there on an off night because of the great reviews but have to say it looked better than it tasted. Thank you for your detailed commentary- I'll pass it on to our culinary team to consider possible improvements. Copperleaf Restaurant is a hidden gem. The menu is fresh and inventive. I have dined on several different occasions and have never been disappointed. A bit expensive for the experience, but very nice. This is an extraordinary place! The setting is gorgeous and the ambiance is aesthetically beautiful, peaceful, and carefully detailed. The servers were thoughtful, pleasant, and a joy to interact with. The experience overall was perfect!! Thank you to the Copperleaf staff. I will definitely visit again! Ambiance, fair to good. Food doesn't match the "lodge feel". The whole evening was a homerun for our party of 4! The food was prepared with precision - flavorful, interesting, artful. Beware, the Octopus and Antelope causes swooning 😀 We dined by the fireplace, which added to the ambiance of an otherwise chilly, wet evening. We'll be back to explore more of the menu! Thanks for creating a memorable dining adventure. Lovely service and atmosphere. Seated next to a roaring fireplace and windows overlooking manicured grounds. Fantastic steak salad. Fresh flowers made the birthday lunch most special. Highly recommend.